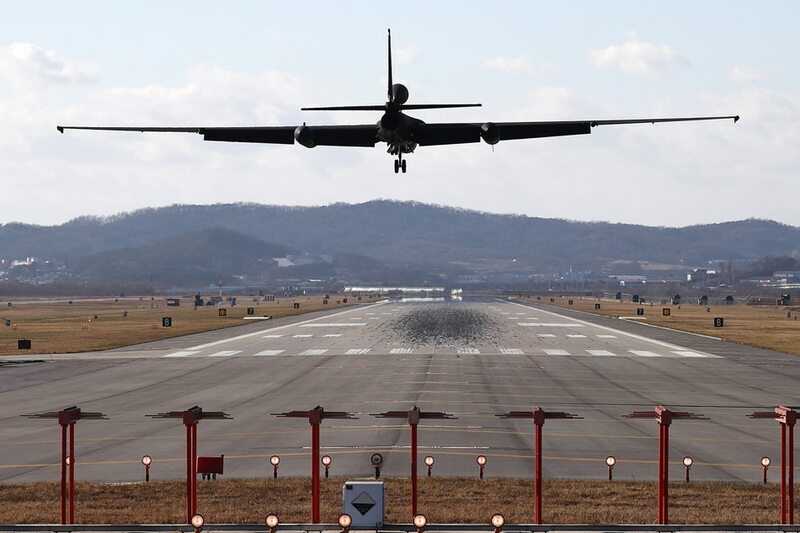 SEOUL/BEIJING - The United States and South Korea went ahead with large-scale joint aerial drills on Monday, a move North Korea had said would push the Korean peninsula to "the brink of nuclear war", ignoring calls from Russia and China to call them off. The drills come a week after North Korea said it had tested its most advanced intercontinental ballistic missile capable of reaching the United States as part of a weapons program that it has conducted in defiance of international sanctions and condemnation. North Korea claims new ICBM can hit anywhere in U.S.
China and Russia had proposed that the United States and South Korea stop major military exercises in exchange for North Korea halting its weapons programs. Beijing formally calls the idea the “dual suspension” proposal. The annual U.S.-South Korean drill, called Vigilant Ace, will run until Friday, with six F-22 Raptor stealth fighters to be deployed among the more than 230 aircraft taking part. North Korea's Committee for the Peaceful Reunification of the Country called U.S. President Donald Trump "insane" on Sunday and said the drills would "push the already acute situation on the Korean peninsula to the brink of nuclear war". F-35 fighters will also join the drills, which will include the largest number of 5th generation fighters ever to have taken part, according to a South Korea-based U.S. Air Force spokesman. Around 12,000 U.S. service members, including from the Marines and Navy, will join South Korean troops. 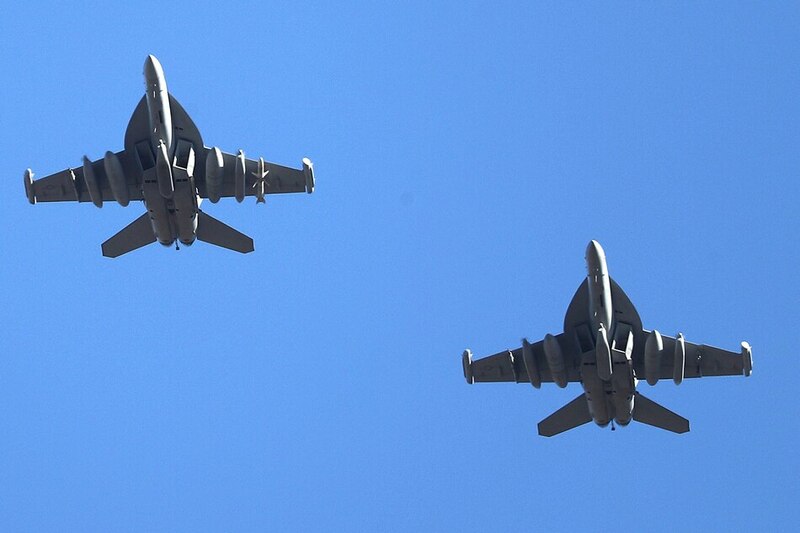 Aircraft taking part will be flown from eight U.S. and South Korean military installations. South Korean media reports said B-1B Lancer bombers could join the exercise this week. The U.S. Air Force spokesman could not confirm the reports. Trump said last week that additional major sanctions would be imposed on North Korea after Pyongyang's intercontinental ballistic missile test. Earlier last month, Trump put North Korea back on a list of state sponsors of terrorism, a designation that allows the United States to impose more sanctions. Russia has accused the United States of trying to provoke North Korean leader Kim Jong Un into "flying off the handle" over his missile program to hand Washington a pretext to destroy his country. "And measures that don't abide by or are outside the UN Security Council resolutions lack basis in international law and damage the rights of United Nations members," Wang said when asked about the prospect of further U.S. sanctions against North Korea. The North's KCNA state news agency, citing a foreign ministry spokesman, said on Saturday the Trump administration was "begging for nuclear war by staging an extremely dangerous nuclear gamble on the Korean peninsula". It has said its weapons programs are a necessary defense against U.S. plans to invade. The United States, which has 28,500 troops stationed in South Korea, a legacy of the 1950-53 Korean War, denies any such intention.